The second generation of the Ford Fusion or the fourth generation of the Ford Mondeo, as called in Europe, is set to arrive soon. At the beginning of the year, we got a glimpse of what might be the 2017 Ford Fusion; but now, thanks to a leaked slideshow from an official corporate website, we know that Ford has a finished product up its sleeve. It is only a matter of time when the company launches the new and improved version. While it is a low resolution photo, since it has been cropped from a power point presentation, we can still see some of the main attributes of the car, as the 2017 Fusion is shown disguise-free. The front end of the midsize sedan gets the biggest facelift, as the vehicle looks a lot like an Aston Martin, thanks to the front grille. The new grille is wider and slimmer than the one on the current Ford Fusion. The back headlights have also been redesigned, with them getting a different shape, but not something radical. The swept-back headlights also use LED accents, same as the one that Ford installed in the 2015 Edge. 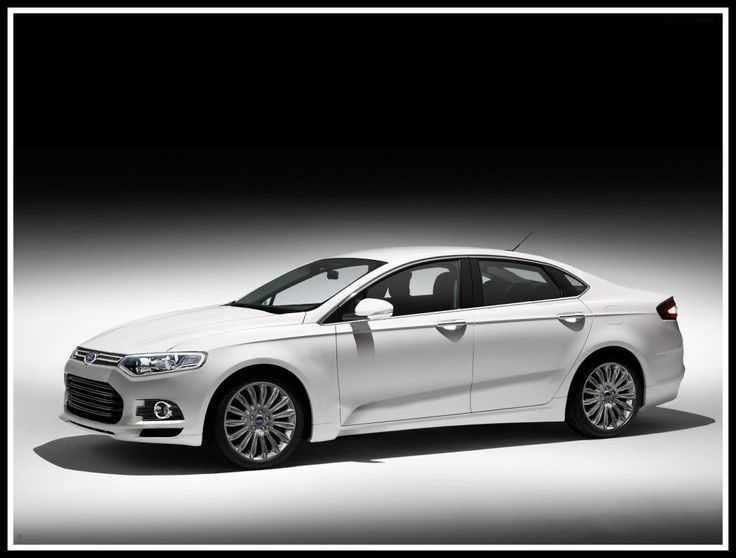 The new design of the wheels completely complements the new fresh face of the Fusion. Toss in the new bumper blades and the 2017 Fusion looks crisper and sharper. Customers can expect changes in the interior as well. One of the main changes coming to the interior of the midsize sedan is the installation of the Ford Sync 3 infotainment system. Under the hood, there should not be many radical changes, as Ford will continue to use the 2.5-liter naturally-aspirated engine and a 1.5-liter turbocharged engine. The 2.0 turbocharged engine, which is one of the most popular choices, is still there, along with the plug-in hybrid and standard hybrid options. The expectations from the 2017 Ford Fusion are high, as the vehicle will have to compete with the 2016 Honda Accord, the 2016 Chevrolet Malibu and 2016 Volkswagen Passat. The leaked image was shown in a slideshow during a corporate event, under the section “One Ford” strategy. Ford has yet to comment or confirm the authenticity of the image, but seeing as it is part of an official website, we can be sure that is how the 2017 Ford Fusion will look like.